I am the kind of person who wouldn't have a single stitch of carpeting in my entire house if that were possible. That is with the exception of area rugs. I absolutely love my area rugs as much as I love the wood floors in our home. A good rug can truly transform an entire room. Did you know that you can completely change the look of a room simply by picking a great rug? We hope that you love this My Top Rug Picks from Wovenly post. I believe that picking the right rug is key to tying the look of a room together. However, it's pretty tough to shop online for a rug when you have to do it all by just looking at a few pictures. That was really my biggest barrier to buying a rug online. Wovenly has changed all of that. Wovenly.com has removed the middleman to bring you a carefully curated website of reasonably priced and beautiful rugs. I don't even need to go to another site because they have everything that I need in one place. 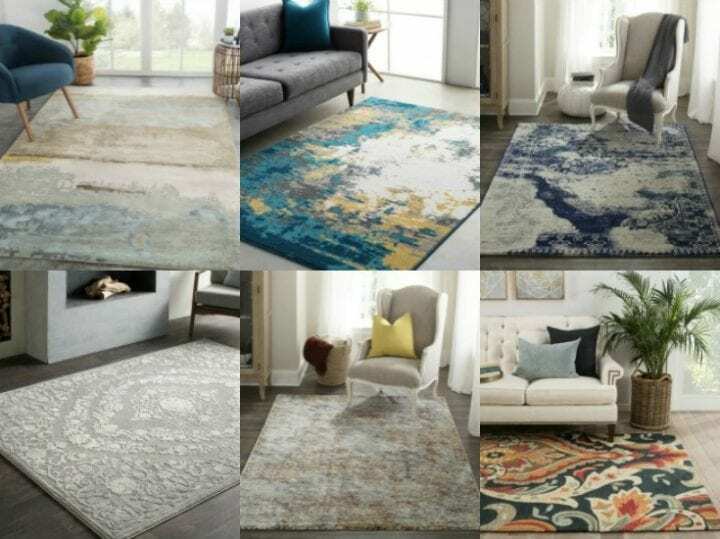 You'll find unique and affordable rugs but the best part is that you can try them out in your home for 60 days risk-free with free shipping and free returns. How amazing is that? That takes all of the guesswork of rug buying online and I am here for it. I LOVE it. Wovenly wants to help make your own even more welcoming and comfortable. They believe that starts with your floors. They offer high quality rugs, built to last and made from the finest materials. You'll find a range of prices, styles, sizes, textures and colors. They want you to find everything you need to fit your lifestyle and home that provide value with reasonable prices. The perfect comes in many different ways. For some, buying a new rug is all about price. For others it's quality, size, color, texture or more. To me, finding the perfect rug is really a combination of all of these factors. 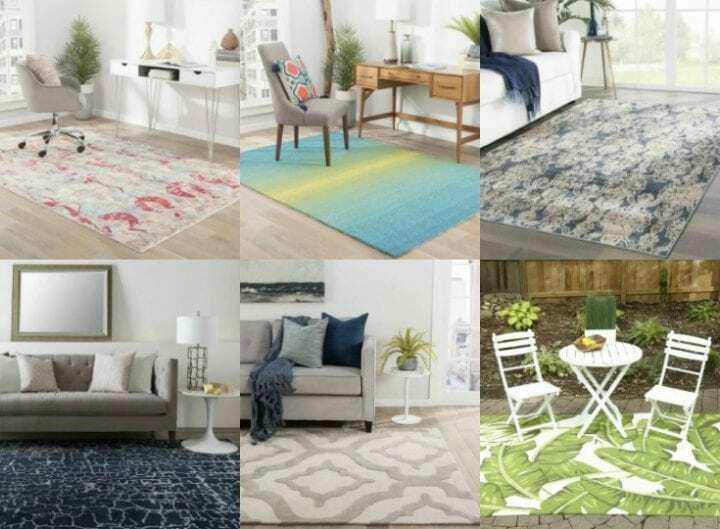 There is no one size fits all when it comes to rugs and Wovenly knows that so let's take a look at my faves. When it came to my closet, I wanted the cushiest and softest rug that I could find. 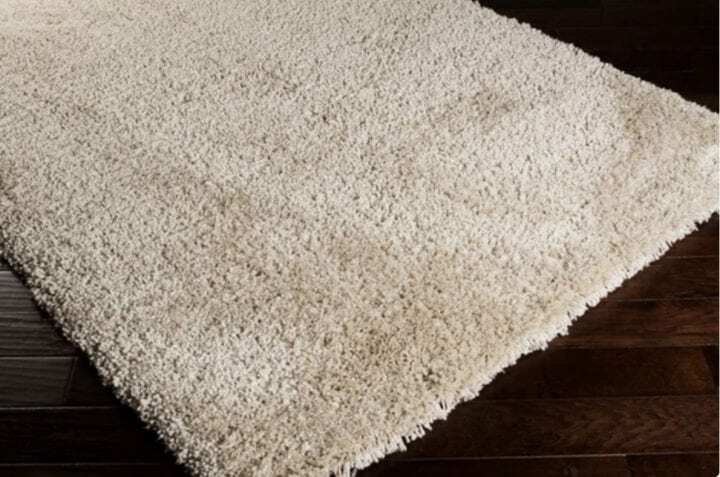 I picked a rug very similar to the Dori: Shag Solid Rectangle Area Rug (pictured above). This gorgeous cream rug looks amazing in my closet and really looks amazing. Every time I walk into my closet, I love how soft the rug is and I am always happy that I purchased it. It took me six months to find the right rug for our master bedroom.We painted the walls teal and I just couldn't something I truly loved until I saw the Dorothy: Updated Traditional New Traditional Rectangle Area Rug (pictured above). Seriously, how gorgeous is this rug? Once I put it down on my floor, I just knew that I had picked the perfect rug and instantly our master bedroom was transformed. This rug really pulled everything together. While I tend to go a little more conservative in my bedroom, I am all about pops of color in my office and living room. I am loving the Delphine: Contemporary Novelty Rectangle Area Rug (pictured above). You can use so many different colors with this rug that making changes to the design of the room is snap and you won't even have to purchase a new rug. That's how versatile a rug like this can be. You can really find some amazing Living Room Rugs at Wovenly. We live in a midcentury modern home built in 1968. We have slowly been redoing rooms and our living room is next. The wood floors are going in soon so I am on the hunt for something colorful, modern and durable since this is such a high traffic room. 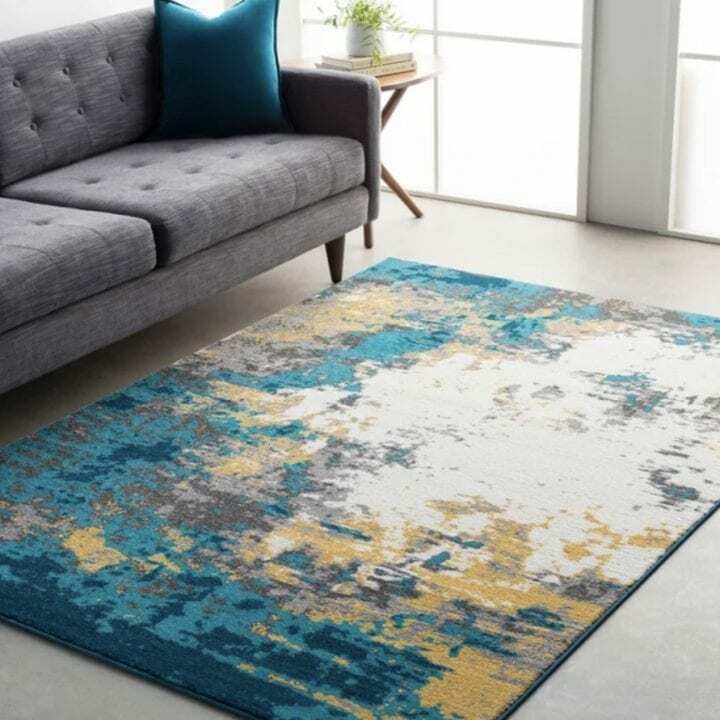 This Stevens: Modern Abstract Rectangle Area Rug (pictured above) (https://www.wovenlyrugs.com/rug/stevens/color-blue+size-711×10) would look amazing in our living once we change out our sofa. At 40 pounds, I know that this rug will stay in place and look great for years to come. Wovenly makes it so easy to find your next rug. Head to the site today and start planning the room of your dreams. Happy shopping! I will definitely check this company out! Looks like they have some fun designs and eye catching colours. I always forget what a new rug can do to transform a room. That rug does look so fun!! My daughter’s would love it for their rooms! Wow those look magnificent, I’d be almost compelled not to even walk in them. You can see the quality in just the photos.very impressive! I haven’t heard of Wovenly until now! 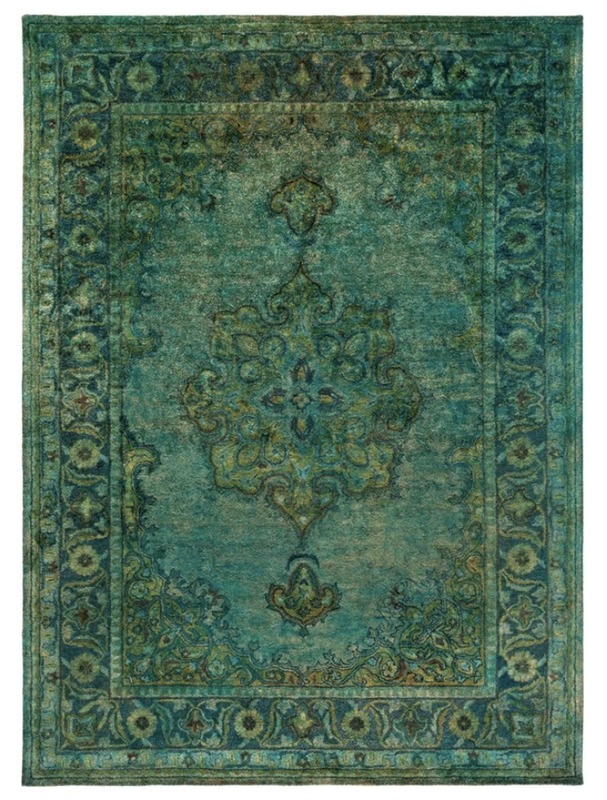 We need new rugs and usually order from Wayfair but I want to give them a try; they look great! That Delphine rug is so beautiful! They really do look like they have a selection of amazing rugs for all tastes. We are in desperate need of a new area rug in our family room. So many of the neutral toned selections seem perfect. Isn’t it crazy how big a difference a rug can make! They seriously transform a room. You’ve picked a lovely selection above! I really like rugs with a pop of color. These are some great tips and rugs. Wovenly looks like they offer so many choices. I love some of the modern patterns and blue and green hues. Rugs can go a long way towards making a room feel cozy. The right rug really can tie a room together. 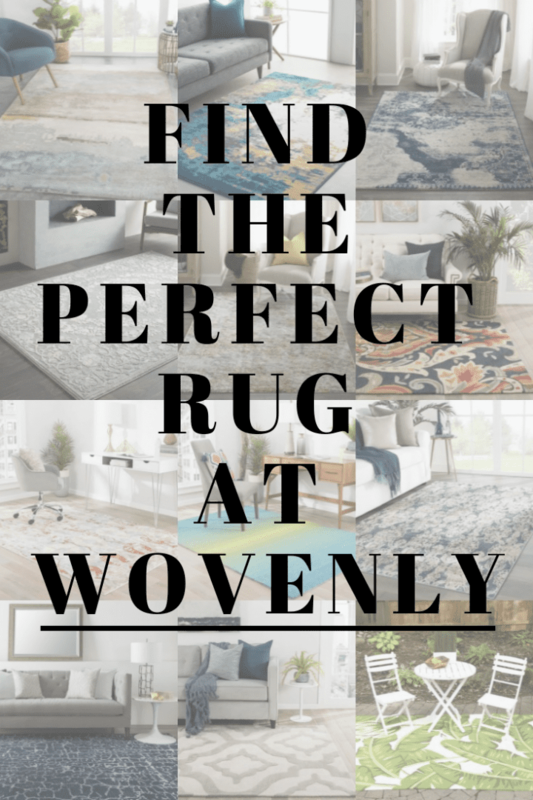 It sounds like Wovenly has great options and makes it easy to find the perfect rug. Wovenly is the perfect store for me, as I love rug shopping! I’m a little sad like that lol! To me, rugs are the subliminal element in any room. You see them out of the corner of your eye and, as such, they should be the last thing you notice. When you do, the room should all make sense. It is therefore key that the rug should be considered the foundation of your room but also that it doesn’t dominate the space it is inhabiting. We’re big fans of rugs in this household! 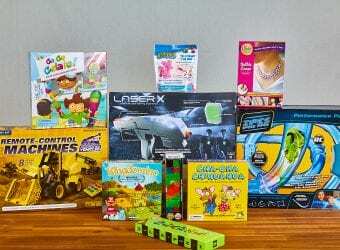 Looks like a great range and that they have something for everyone! This is the first time I’ve heard of this site! It looks like the go-to place for rugs. A rug can really make or break a room! I am totally looking forward to being able to deck out our hardwood floors. These rugs would be so perfect! We have been looking forever for a new rug! Thank you for the ideas! Ooh! My studio and my living room could both use new rugs. The living room one would definitely have to be comfy! what beautiful array of rug selections. 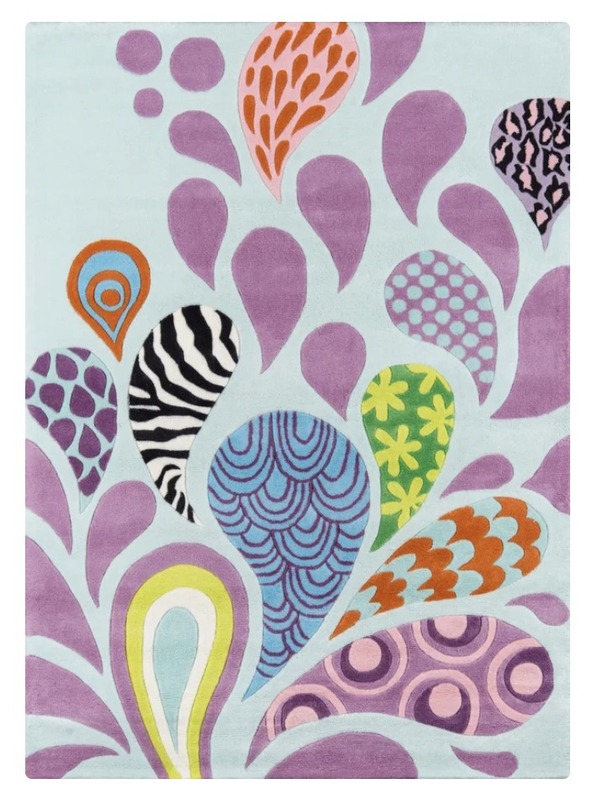 I would love to get a nice eye catching but boho friendly aesthetic looking rug for my place. Wow, looks like they have a lot of awesome rugs!! I would love a few for my down stairs rooms. The right rug makes all the difference in the world. We had a spill that ruined ours in the dining room. I didn’t last long without getting a replacement, it just didn’t look or feel right without the rug there. I heard a lot of good reviews about Wovenly. I am planning to buy one from them! Love all those rugs, but the blue and green is my favorite! Grabbing it for my office! What beautiful rugs! I do love the teal one. It would go so well in our living room. We are really hard on our rugs since we have dogs and a living room where we constantly are tracking in dirt… I always upgrade our rugs but these prints are gorgeous. I need to check their prices. Wow, those rugs are beautiful! I love rugs in the house but I always end up with cheap ones that bunch. I’ll have to check these out. I love those rugs! It looks so chic and very functional! I hope to get one or two for my family.